Today, you get a special"Grant Morrison" treat when you head to your local comic shop, a deluxe version of Batman & Robin Volume 2 and Batman vs. Robin #16 hit the shelves. DC’s Source blog had a trio of posts yesterday promoting the occasion. 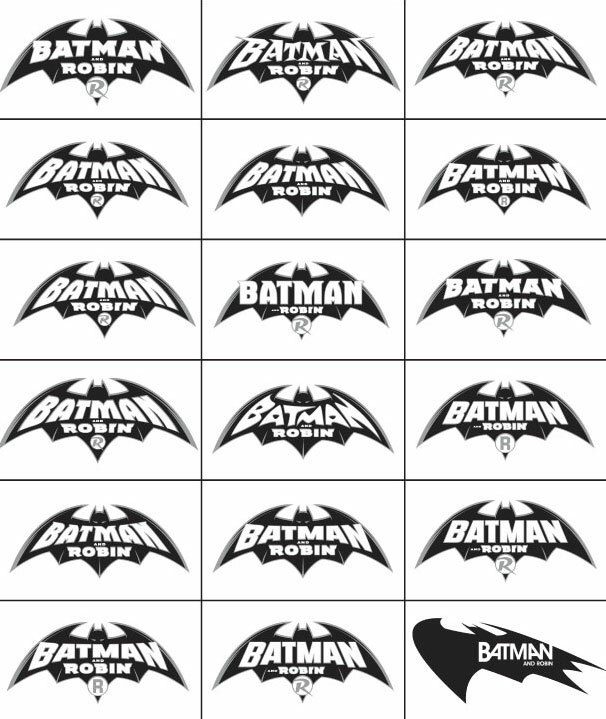 In addition to a preview of Batman & Robin #16, they also shared Morrison’s thoughts on the covers to issues 7-12 and, as seen above, Rian Hughes’ logo design. I love these logos. Rian Hughes did a great job on these beautiful and creative logos.